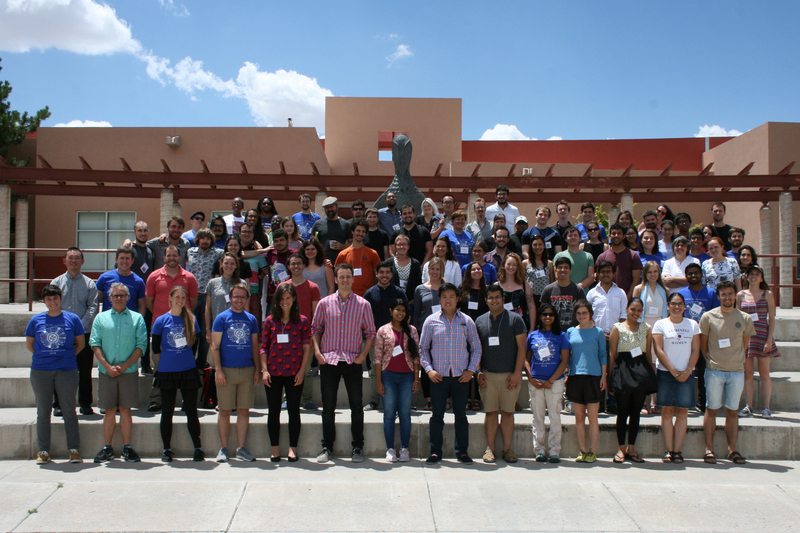 "The Santa Fe Institute Complex Systems Summer School (CSSS) is world class. Combining the latest thinking from world-leading scientists, true multidisciplinary perspectives, and the passion from 50 or more of the best and brightest attendees is inspiring. With the diversity of people, country representation and perspectives, breakthrough research was established in a wide range of new areas. I commend the program to those that are not satisfied with the status quo, those that want to break new ground, and those who are the future leaders in their fields.” - Matthew Ayres, CSSS Cohort 2014; Managing Director, Growth and Innovation Asia Pacific. Tuition for the program for academic participants (i.e. students, post-docs or faculty) is $4,500. Tuition for professional/corporate participants is $6,000. Tuition covers participation, course materials, accommodations, and meals. Students are responsible for their travel costs. After being accepted, students are expected to seek financial support for tuition from their home institutions, departments, or other sources. SFI is happy to provide supporting information about CSSS to accompany such requests or applications. A limited amount of tuition assistance may be available for students with exceptional need who have demonstrated a substantial effort to obtain outside support. The summer school is housed at the Institute of American Indian Arts (IAIA) in Santa Fe, New Mexico. The campus is located in a beautiful Southwest high desert setting with mountain views, extensive walking trails, and quiet places for contemplation. IAIA gives the program a retreat atmosphere that provides students with an opportunity to focus on the challenging topics covered in lectures and to develop group projects applying complex systems methodology. IAIA's conference facilities are modern and comfortable offering students multiple meeting rooms for collaboration. The residential facilities offer single and double rooms with ensuite baths. Access to IAIA's newly opened recreational facilities is included. Food is provided by Bon Appetit, which is the caterer for the Santa Fe Opera. Downtown Santa Fe is a twenty-minute drive from the campus and offers a wide variety of museums, art galleries, culinary delights, and architectural charm. There is also the possibility to explore New Mexico via day and weekend trips. Summer School will also convene at the Santa Fe Institute during the program. "I learned that science is so much bigger than the field I work on. One theme definitely stands out, which is to build interesting frameworks/generative models; this was very prevalent amongst the participants and something that is missing in my field, where people are mostly busy with fitting off-the-shelf statistical models. I walked away with a lot of enthusiasm and the conviction that one should go for the big questions, be bold, have fun and play." Applications are accepted from graduate students, postdoctoral fellows, faculty and professionals in any discipline. Proficiency in English and some background in science or mathematics are required. We welcome applicants from fields not traditionally represented in complex systems (eg. the humanities or visual and performing arts) who feel their work draws on or is related to the study of complex systems. Participants are expected to attend the entire session. Applicants are welcome from all countries. Women and members of underrepresented groups and institutions are especially encouraged to apply. - A current CV or resume. Include a clear description of your current educational or professional status, and a list of publications, if any. - A statement that describes your research interests, and your interest in attending the summer school (maximum 2 pages). - Two (2) letters of recommendation: one from a professor and one from a collaborator (see application for details). Note: The letters should be sent independently of your application. Please inform your recommenders that an email from "myreviewroom.com" will be sent to them with their password and instructions for uploading their letter of reference into your application file. It is the applicant's responsibility to ensure that the letters have been submitted by the deadline. Online applications will open on October 23, 2018, and close at 11:59 PM MST on Thursday, January 31, 2019 (note: this is a new deadline). Please start your application now to meet the deadline. Applicants should be notified by e-mail regarding the status of their applications sometime in February 2019. 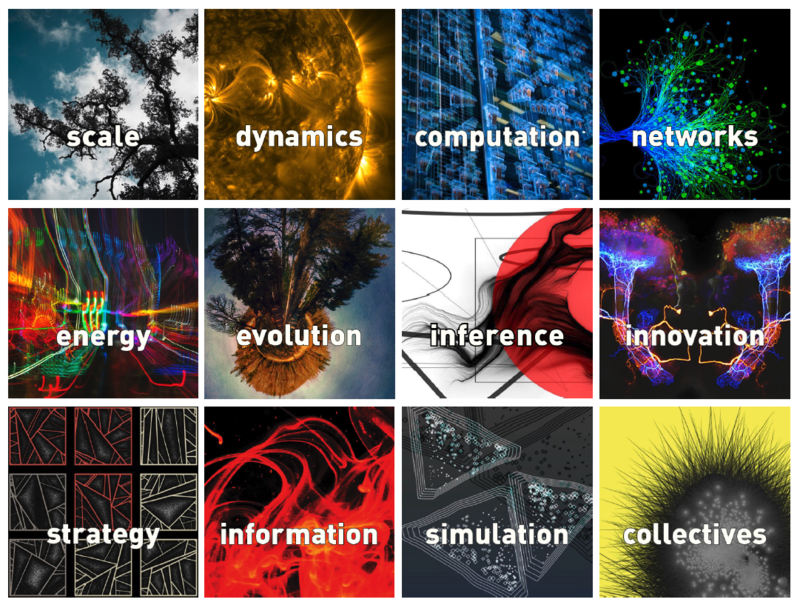 The Complex Systems Summer School offers an intensive four-week introduction to complex behavior in mathematical, physical, living, and social systems for graduate students, postdoctoral fellows, and professionals. The deadline for 2019 CSSS has passed. The application process for 2020 CSSS should open in October 2019.